Veteran’s Community Thrift Store moving to a new location. Re-Opening the first week in October in the former Anderson Furniture store, located at 2003 1st. Ave, Hibbing. Well the leaves are turning fast so I hope everyone is able to get out for a drive and take a look at them, because before we know it they will be gone and winter will be upon us. Speaking about winter have you started thinking about preparing your yards and septic’s for it. Its better to be overly prepared than not at all. Most winters when we get large amounts of snow you usually don’t have to worry about your septic’s because then you have a nice layer of insulation covering it. But those winters that we don’t get large amount’s of snow is when you need to put down hay or straw over your septic for insulation so it don’t freeze up on you, cause that can be very costly to have someone come and thaw it out for you. This is just one of the things to be thinking about since winter is right around the corner. We here at Perrella hope you all have a great work week ahead of you & stay safe!!! Why use a Real Estate Agent? Here are 29 reasons! We are asked on a regular basis why a buyer or seller should use a real estate agent. Below are 29 reasons why…. 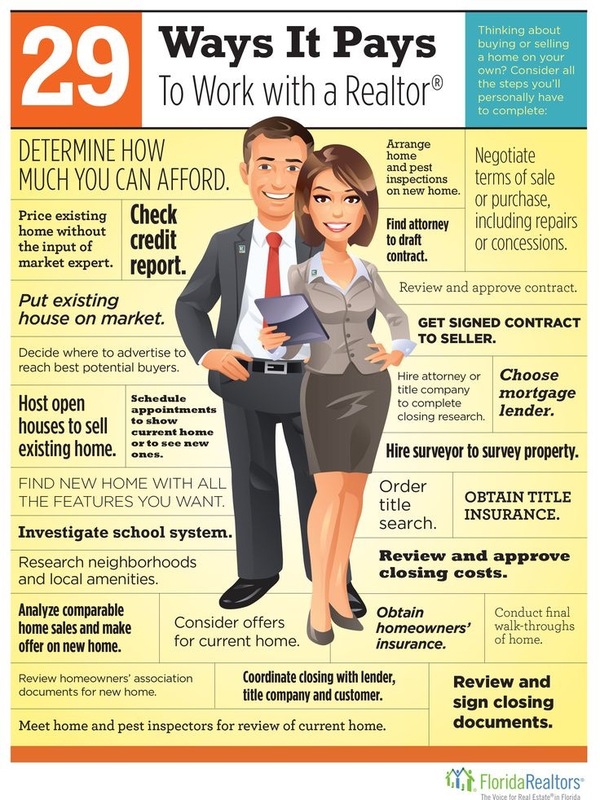 Keep in mind as agents we could add to the 29 reasons. Number 30 would be because we enjoy selling properties! Interest Rates Remain Historically Low for Home Buyers in Today’s Real Estate Market – Get Pre-Approved! Interest rates remain historically low! Many lenders are quoting and buyers are telling us they are talking about rates under 4% and for sure under 4.5%! That’s amazing! What a great time to buy a house and lock into a great rate for 30 years! If you are thinking about buying a house in the near future, get pre-approved today and get educated on what your costs will be and how much you qualify for. Reminder: We tell buyers: You will likely qualify for more than you are comfortable spending. Find out what your payment will be in order to determine what price range you want to look in! Contact us to help guide you through the home buying process! The are multiple benefits of the MLS or Multiple Listing Service. For buyers, it means you can work with one real estate agent and do not have to call multiple offices or agents to get information or set up showings! Buyers, find a Realtor you can trust and will give you the service you need! Your agent can help you get in to all the houses listed by all the real estate companies in the MLS and help you write offers! Give us a call today! Happy Friday Everyone! Have a safe and happy weekend. Let’s make a list of some of the hard facts on selling your home. Know the local Real Estate Market. Look at what is making the house sales happen. Ask your realtor and if they don’t know find an agent that does know. Local trends in your neighborhood are critical in selling your home. Declutter your home. The biggest payoff for to selling your home is the time spent cleaning and decluttering your home. Homes that look to be well maintained sell for more money. When you clean out your house this can help it look like it is being well maintained and kept up with. Take the you out of your home so buyers can picture themselves in your home. Price your Home right. It’s simple you over price your home it will sit on the market longer. Price right when you first list so your home does not sit on the market for a length of time. Over priced homes help sells your neighbors house. Selling your home is inconvenient. Your will be inconvenienced by the times that buyers are able to see your property. Be prepared for that change in your schedule. Make Repairs ahead of time. When making these repairs before a buyer has inspector come in can save you time and money. If you know it needs to be repaired do it before the listing goes active. Buyers love to negotiate after the home inspection so keep that in mind. Closing Date is the Move Out Date. It can turn buyers away from a home that they have to continue to allow the seller to stay in the house. The last but most important is finding a agent that fits you and has knowledge in the sale of homes. Check out this Swan Lake property! MLS # 132007. Address 29398 West Shore Drive reduced to $220,000. Call us today for your real estate needs 218-262-5582. On the anniversary of the September 11th attacks, Americans will unite in service in the same remarkable way that so many came together following the attacks. As in years past, we anticipate service and remembrance activities in all 50 states, at which there will be opportunities for hundreds of thousands of volunteers to paint and refurbish homes, run food drives, spruce up schools, reclaim neighborhoods, and support and honor veterans, soldiers, military families, and first responders. To find opportunities to serve during this year’s September 11th Day of Service and Remembrance, you can look for projects using the “Find volunteer opportunities” tool. Register your 9/11 Day of Service project, or organize a service project in your area. We here at Perrella believe that it is important to get involved with your communities and lending a helping hand whenever you can. Well it’s the weekend and I thought I would share with you some things going on in the surrounding communities to do with the family on this beautiful day. At KIA od Duluth they are holding Drag Races & Car show, Duluth, Mn September 9th: Event time is 9am – 5pm at 300 Garfield Ave. September 10th: Drag racing commences at 9am – 5pm, Car show after 9am Contact 218-628-9996 for any questions. 4th annual Northern Gearhead Car Show, Blackberry, Mn September 9th, Saturday: Car show, 10am – 2pm, Swap Meet & Flea Market, All proceeds donated to the local food shelf, Contact George Funk, 218-360-1483. This is always a great thing to do with the kids or great friends touring a local farm in Hibbing and chatting with local urban farmers at the community gardens in Virginia on Saturday, Sept. 9. Mr. Ed’s Farm near Hibbing will be hosting their Fall Draft Horse Day from 10 a.m. – 4 p.m. Then stop by the Iron Rangewide farmers market at Messiah Lutheran Church in Mt. Iron from 4 – 7 p.m. The market will feature local farmers and crafters, along with a free cooking class and a noodle-making demonstration, music by local singer and songwriter Josh Palmi, and a silent auction. Or if you just plan on staying home and doing some yard work here are some tips that I read about for your garden. They say now good time to start planning next year’s garden. Water needs to be kept at one-inch per week and Mother Nature should be kind. Survival through winter should be less stressful. Garden clean-up now will prevent weeds/ diseases in the future. Diseased garden materials should be disposed of in the garbage. Prevent infestations of animals and insects by removing over-ripe vegetation will help.They say this is the best time to shop the local greenhouses to get perennials, shrubs and trees to plant now. I hope these ideas help you enjoy the weekend and if you feel the need to shop for a home feel free to contact one of our friendly agents here at Perrella, they are always willing to assist you.